Join us at the VFW in Sharonville for a night of dancing and great fun!!! Non-stop music from 7:30 pm till 11:00 $10.00 per person includes chips, pretzels, cash bar...low drink prices, split-the-pot. Doors open at 7PM. As part of our monthly series. 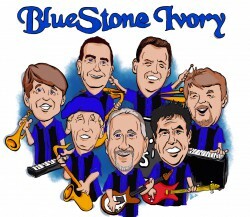 Join us at the VFW in Sharonville for a rocking night of music and dancing with BlueStone Ivory and JD Hughes. Non-stop music along with JD Hughes from 7:30 pm till 11:30pm $10.00 per person includes chips, pretzels, cash bar...low drink prices door prizes, split-the-pot Doors open at 7PM.